Flathead Reporter Katrin Frye takes us to a CoMotion "Fire Speaks the Land" performance in Whitefish. The professional dancers of the CoMotion Dance Project and students from Flathead-area schools learn about fire ecology through dance. Using dance and movement to teach concepts like conduction, convection and radiation is the goal behind a Co-Motion Dance Project about fire ecology. 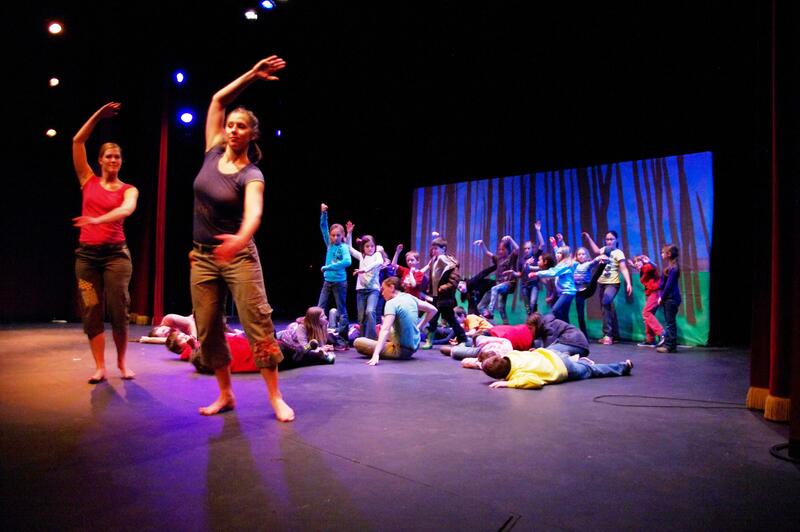 The Project is based out of the University of Montana and brings dance into the classroom as a teaching tool. The Program, “Fire Speaks the Land,” was written by Director of the CoMotion Dance Project Karen Kaufmann and her husband, Steve Kalling. Kaufmann said the idea is to help understand concepts through movement. “We’re going past the traditional, beyond the traditional, more didactic approaches to teaching and using music and movement and lights and costuming and story to educate,” Kaufmann said. She said combining the arts and sciences is a good mix. “Very inspiring, both for educators who are excited about teaching in this format, and also to students who are learning things like convection, conduction, radiation, and science concepts; the fire triangle: fuel heat and oxygen – through song and dance,” Kaufmann said. The Fire Speaks the Land tour is supported in part by The University of Montana, Montana Cultural Trust, Montana Arts Council, Public Value Partnership, USDA Forest Service Rocky Mountain Research Station, Flathead Conservation District, Cadeau Foundation, Idaho FireWise, Nez Perce Tribe Forestry and Fire Management Division, Nez Perce-Clearwater National Forest, the North Central Idaho Fire Prevention Cooperative, Whitefish Performing Arts Center, Flathead National Forest, Missoula Fire Sciences Lab, individual schools and private contributors.